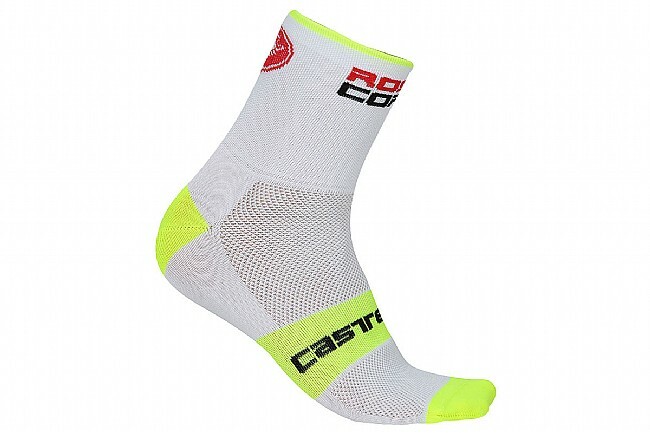 Castelli's Rossa Corsa Socks are made with bacteriostatic Meryl Skinlife® yarns to keep you fresh for longer, but the comfort doesn't stop there. They also use a woven mesh over the top-foot for excellent ventilation, and a supportive band at the arch makes for a more structured fit. The Rosso Corsa 13 Socks feature a 13 cm compression cuff and a flat-seam toe to prevent irritation. These socks are very comfortable, thin, light and supportive. 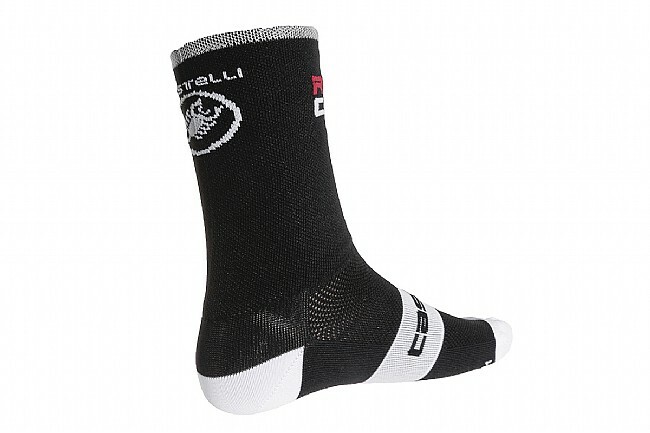 Castelli high quality as ever. Im size 43 eur or 9.5 us and LXL fits perfect. Great sock for when the mercury rises. 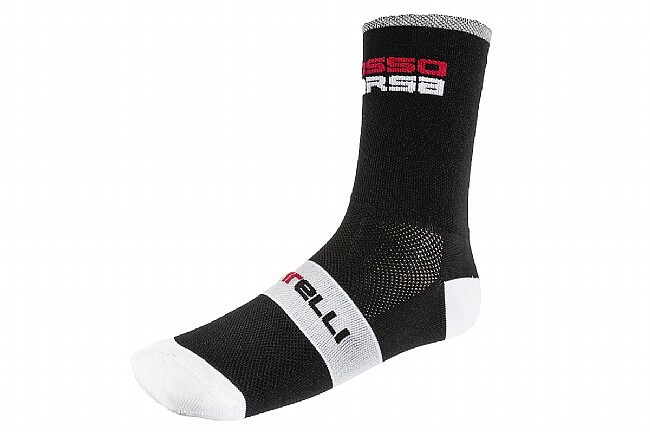 Great fitting and comfortable sock, especially in the warmer temps. Hold up well in the washer and maintains its shape.